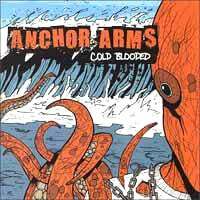 Not to be confused with emo-y but hard-hitting Anchor for Arms, Anchor Arms play energetic, gruff punk punctuated by “Hey! Hey!’s” and “Whoa-ohs.” I like their style, which is angry and impatient and avoids emo sentimentality. Their tunes, filled with tempo-changing breakdowns, also sound crafted for fist pumping at an all-ages show. That said, this isn’t the most interesting band in the world. All these whoa-ohs sound like guttural tics without a poppier framework, and there isn’t much else separating them from other angry, melodic, punkcore bands. I like the energy and the fact they aren’t emo-y lame, but there aren’t enough hooks for a repeat listen. Bottom Line: Aggro punk for the kids, and only for the kids.